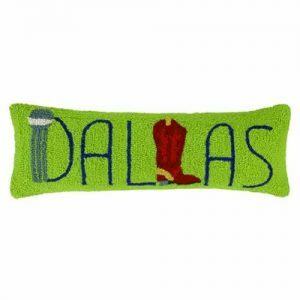 This decorative pillow will add Texas style to any room. Hooked design. Made of 100% wool and cotton. $2.25 will be donated to Save the Animals. This decorative pillow will add Texas style to any room. Hooked design. Home is where the heart is! Material: 100% Wool and Cotton. 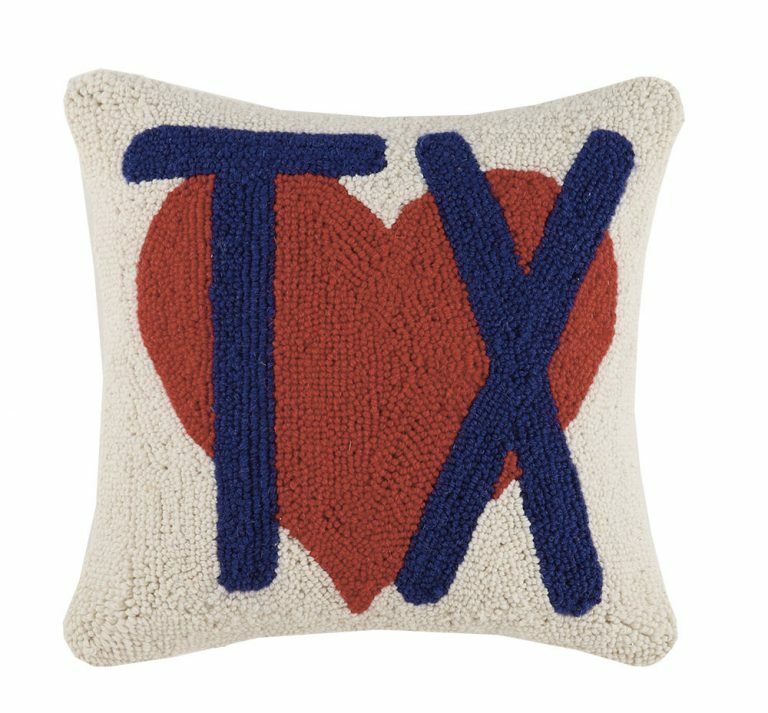 This decorative pillow will add Texas style to any room. Hooked design spelling Austin. Made of 100% wool and cotton. This decorative pillow will add Texas style to any room. Hooked design representing Big "D". Made of 100% wool and cotton. 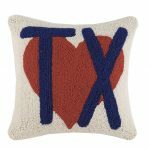 This decorative pillow will add Texas style to any room. Hooked design representing Fort Worth. Made of 100% wool and cotton.